Public Parking is available all throughout Seaside and on CR-30A. For 23 years we have been specializing in amazing events right on the Gulf in Seaside. Whether you are booking a wedding reception in our beautiful gulf front courtyard or a private corporate luncheon in our open-air gazebo, we can create a unique and unforgettable experience tailored for your needs. We have always been known for our outstanding service and award winning menus. We look forward to making your event an exciting and memorable day. 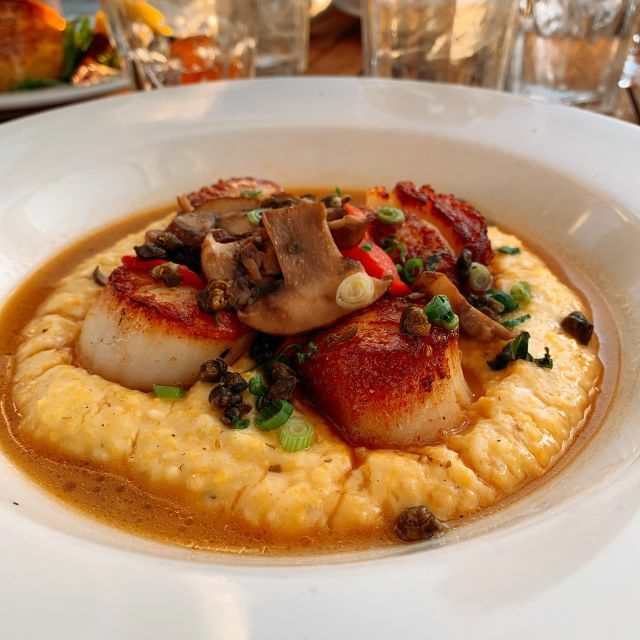 Founded in 1986 and named for a dog and cat, Bud & Alley's has been a revered gathering place by loyal patrons for great food, great fun and Seaside's finest sunsets for 23 years. 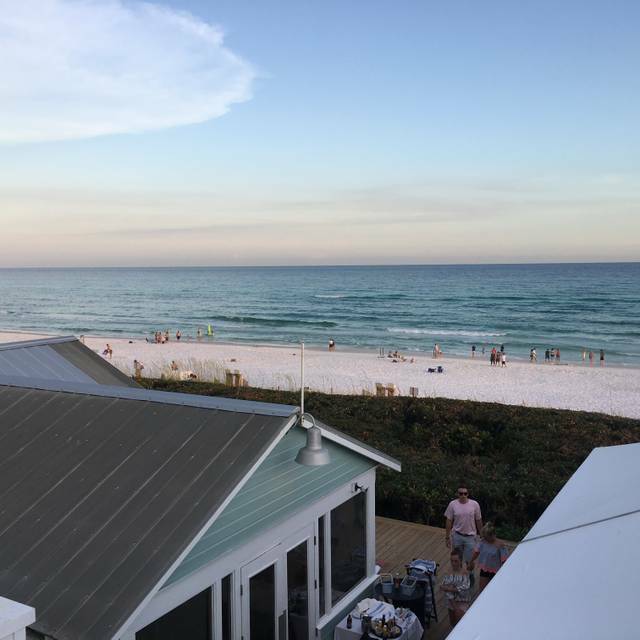 South Walton's longest established restaurant, Bud & Alley's is nestled in the dunes overlooking the Gulf of Mexico. Bud & Alley's has garnered numerous awards including Florida Trend Magazines Golden Spoon Award designating the eatery as one of the top 20 restaurants in Florida as well as receiving a five star designation from the Tallahassee Democrat and annually winning Wine Spectator Magazines Award of Excellence. It was not good. We split the whole fish and it was terribly burned. 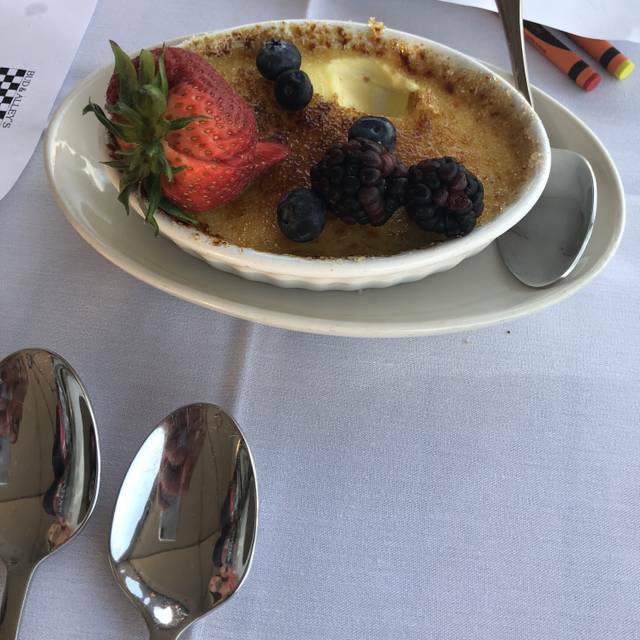 My wife cannot eat potatoes which were served in a separate ramekin and they would not substitute the side dish even though the restaurant was not crowded. Our wonderful waiter, Drew, made the evening! We took his recommendations for dinner and it was perfection! 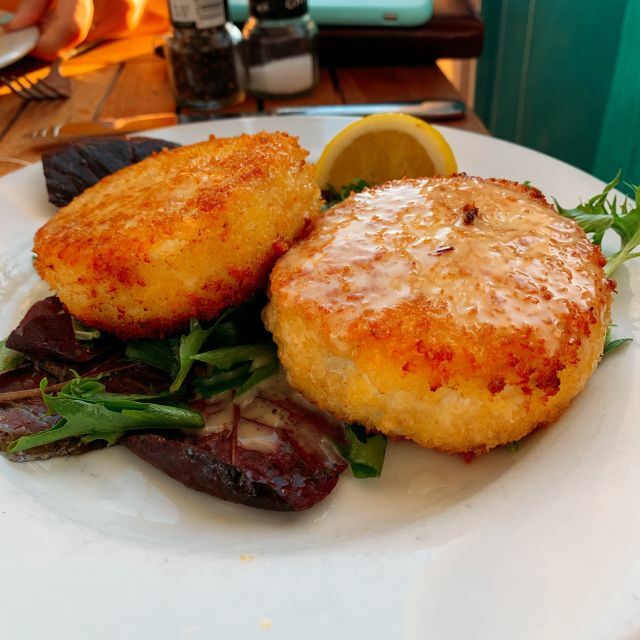 The crab cakes were the best we’ve ever had! Highly recommend Bud and Alley and ask for Drew! Food and service was perfect in dinning room downstairs. In bar on upper deck our waitress spent more time talking to her friends behind bar then doing her job. She blamed the bar tender even though we all saw her standing around doing nothing but talking to friends. Instead of having several drinks and maybe an appetizer we left after 1 drink. Close to ruining a great experience. Overall really good food but no “water view” from the inside. Must have to sit up on the roof to see that. For such a high end dining place it’s a shame that they won’t let you substitute anything on the menu. Kids were disappointed there were no French fries. Found the food to be enjoyable but slightly chewy calamari and sourdough was slightly burnt. Felt a little over priced. Bathrooms are under construction. Luckily we were staying right in Seaside so no need to use mobile bathroom trailer. Waitress was awful. Never offered bread and when we asked for some she never brought it. But she of course remembered to ask if we needed another round of drinks and dessert:(. For the price per plate I expect a lot more from waitstaff. Quickly seated a few minutes before our reservation time. Excellent service and very energetic and personable server. Service was marginal, food was not great & just an overall bad experience. We didn’t get service for 15+ minutes, soup was cold, and we were seated at a horrible table. We have eaten here several times and always had a good experience but don’t know if we will ever come back. The service and location of this restaurant were fantastic. It was a little confusing trying to figure out whether to go upstairs or downstairs, so we went up & were yelled at by a waitress saying, “open seating.” We had to go back down to see where we should go for our reservation & were directed to our table. The food was great, but there are no vegetarian options. If you are purely vegetarian, you may want to skip this one. Great food, awesome service!!! Will be back. Have been going here for years. Always excellent! We wanted a nice dinner with our children while we were on vacation. This restaurant has a great location for viewing the sun set. I was disappointed with the pace of service. We ordered an appetizer, soups, and dinner and drinks. Our soup came and I had barely started when my dinner arrived. My dinner wasn’t even hot. Sorry to say we probably won’t be back. Awesome server. Good food. Positive experience ! The food and service was excellent. It is definitely pricey, but we knew that before we made reservations. Would recommend if you don’t mind pricey and very delicious food. Best food and outstanding due. Service was excellent! Overpriced bar food!! $40 fish special dry n over cooked. Waitress largely absentee. Wonderful food, relaxed environment in one of the most idyllic places on Earth...Seaside! Overrated. The service was an embarrassment to the establishment. Our waitress never brought our appetizers or drinks before finally bringing our food out. Bud and Alleys should be disappointed to know how terrible the service was. Our dinner was phenomenal and I absolutely loved our server. She was exceptional and most importantly, she was kind. Not a great menu and rather pricey. Allergy sufferers beware..everything either contains shrimp or is cooked with shrimp. Sweet potato fries were 12 dollars and were totally inedible. You have to buy your table bread and was a very small piece. Luckily the half plates were enough for us or our meal would have been easily $500 for 4 people. Waitress was very nice and did a good job. Food was decent but not worth $200. Great Southern across the street puts them to shame plus no parking :-(..not impressed. Terribly overpriced for the quality and service. Would not recommend this when there are so many other great options nearby. Loved our server, Gulxhan! Gave great suggestions that lead to a delicious meal. Initially our table location wasn’t satisfactory, but hostess was very accommodating and moved us to a better table. Clearly no one read my Open Table request not to be seated near serving station. But all ended well. Was expecting much more from our experience here. Food was upscale price but nothing really special. Service was decent but not great. No bathrooms at this restaurant!! Have to use a portable washroom. Only place I’ve ever been where a $300 meal for five doesn’t include a decent bathroom. Went to this restaurant on vacation because we had had heard fabulous things about it. The food was good but they are doing construction on the restroom. We had to outside if we needed to use the restroom. Very disappointing! They didn’t except our 630 reservation, they said our reservations were for 730, not 630 and it was an issue with OpenTable, not Bud and Alky’s, I wasn’t happy since we made these reservations two weeks ago. The 8 of us had to be sat at two separate tables. Took a friend. She really enjoyed it! It’s one of my favorites for years! The service was great, but the food was AWFUL. Not only was the food extremely expensive I would have been mad if I cooked it for myself. The side dishes were cold and straight out of the frozen food section. I was embarrassed to take my friends to dinner there. If I had gotten my meal for free I would have been mad. On top of all of this everything was cold... there excuse was the “warming element” was not working. I have a house in Seaside and will never eat there again. Try Cafe 30A or Borago for a much better dining experience. Food was very good. No bread service. Waiter - Paul very knowledgeable and helpful! The crab cakes were very fishy. Short rib rigatoni was nothing special. Ambiance was nice. Portions for snapper were ok but not impressive. Overall pretty good choice. We had our Valentines Dinner here. We love Bud & Alley’s But this dinner was a little rushed. Entree arrived soon after salad. Seating was very tight bcs of Valentines Day. We will continue going here as regulars but this was not their best service night. Food was delicious as always! Special night with an amazing view. The crab cakes and grits were the best we have ever eaten. Dinner was delicious! Crab cakes are all meat and no filler. Calamari appetizer was best I've ever had. Pricey, but worth it as a special meal. Our server was attentive and knowledgeable of menu. Best food I have had in years! Great service as well. We first ate a Bud and Ally's 32 years ago. At that time there were about ten houses in Seaside and the road was gravel. It is as delicious now as it was then. We come back every year, enjoy the excellent food and wonderful service. See you next year!